It's Like a CHAMOIS, a TOWEL and SPONGE All in One! ShamWow Holds 10x its Weight in Liquid! The ShamWow Holds up to 10x its Weight in Liquid! 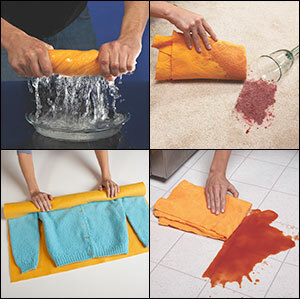 Easily soaks up spilled wine, cola, and pet stains. It’s a shammy, towel and sponge, all in one! Reduce, reuse, recycle! 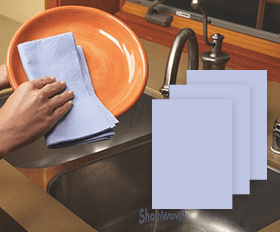 Use ShamWow towels instead of paper towels for many everyday clean ups! 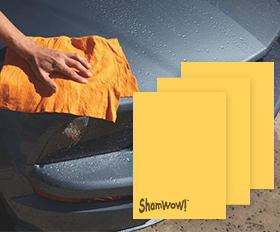 The Original ShamWow Will Not Scratch Any Surface! Safe to use on your boat, RV, camper, and car. 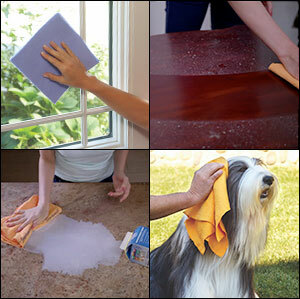 Wipe granite and quartz countertops to a shine. Dust computer screens, TVs and furniture. Does not leave streaks on stainless steel appliances. Wipe down shower walls after showering to reduce mildew. Soak up moisture in your refrigerators crisper drawer. Catch drips under your dish drying rack. Clean eye glasses, windows and mirrors, lint free. 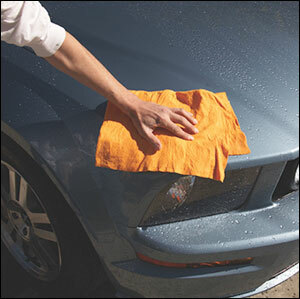 Clean & polish practically any surface to a shine. Keep a mini in the car for spills or dusting. You'll Say WOW Every Time! Save Money Over Paper Towels! 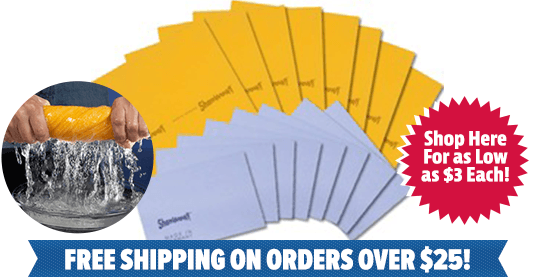 Your ShamWow towel can be used over and over for hundreds of uses making it more cost effective and better for the environment than paper towels! 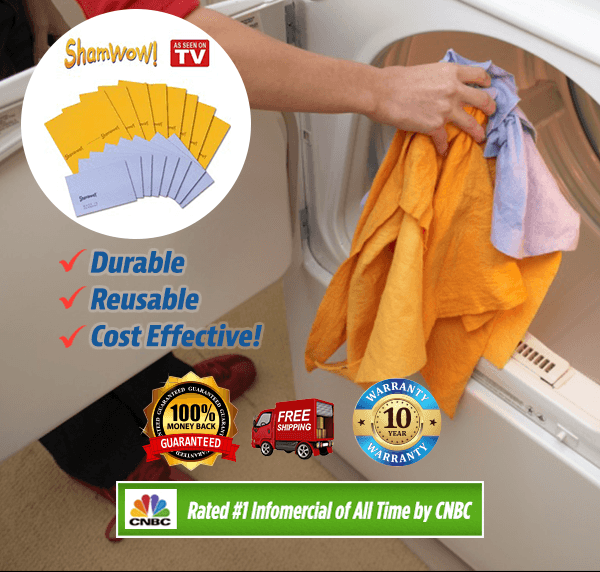 When your ShamWow is ready for a deep clean, simply toss in the washer! 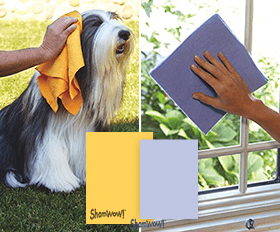 Your ShamWow is durable, reusable, and cost effective! Mini ShamWows are smaller and thinner for those handy quick wipes, and will help you save hundreds of dollars on paper towels!